If you would like to give toward this project, go to https://www.visionmissions.info/donate and select WILL HILL – JAPAN. You can give through mail at Vision Baptist Missions PO Box 442 – Alpharetta, GA 30009. 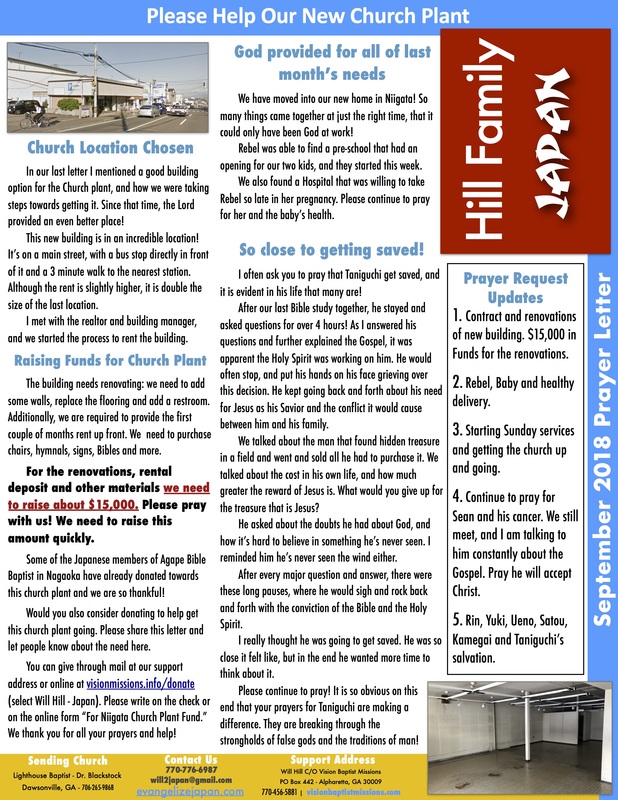 Please make checks out to Vision Baptist Missions and in the comment section write for Will Hill and Niigata Church Plant Fund. April Prayer Letter – He Got Saved!